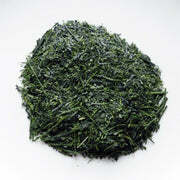 This excellent quality first picked Japanese green tea from the highly regarded Yutaka Midori cultivar has a very fresh smell, lovely green colored liquid and most pleasing flavor. It is well rounded, full bodied with a lingering astringency, but never too strong tasting. The second brew is mild with a light astringency remaining on the palate. 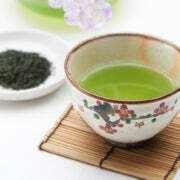 Green tea lovers will be very satisfied with Premium Deep Steamed Shincha Yutaka Midori.